More garden pics: VDB used to have quite a garden, then it was "accidentally" plowed under by the lawn guys. Now just a few things have been replanted. 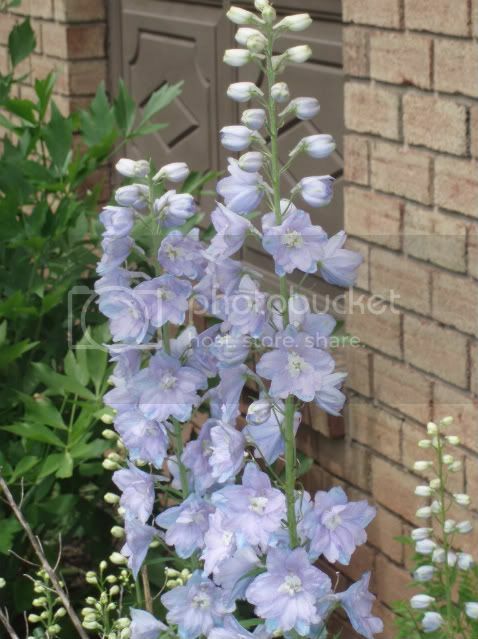 This is delphinium. Those are beautiful. My lawn guy has been cutting down some of my lillies. Oh well. I guess I need to add some thing to my garden. The last time I planed anything was summer of 2004.